Win a Fitbit Versa smartwatch worth $200! For the fitness and watch enthusiasts, this one's for you. 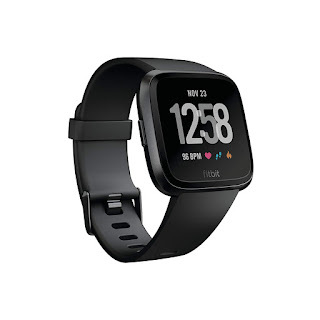 Check out the Fitbit Versa giveaway that Club Fit Wear is doing right now. Live your best life with music, on-screen workouts and more on the Fitbit Versa advanced smartwatch worth $200. Club Fit Wear provides workout clothing, fitness apparel, and ladies tanks with fun slogans. This giveaway is open only to those who sign up at the online sweepstakes page and who are at least 18+ years old at the time of entry. Open to the legal residents of the United States, ending April 30, 2019 at 11:59 PM. 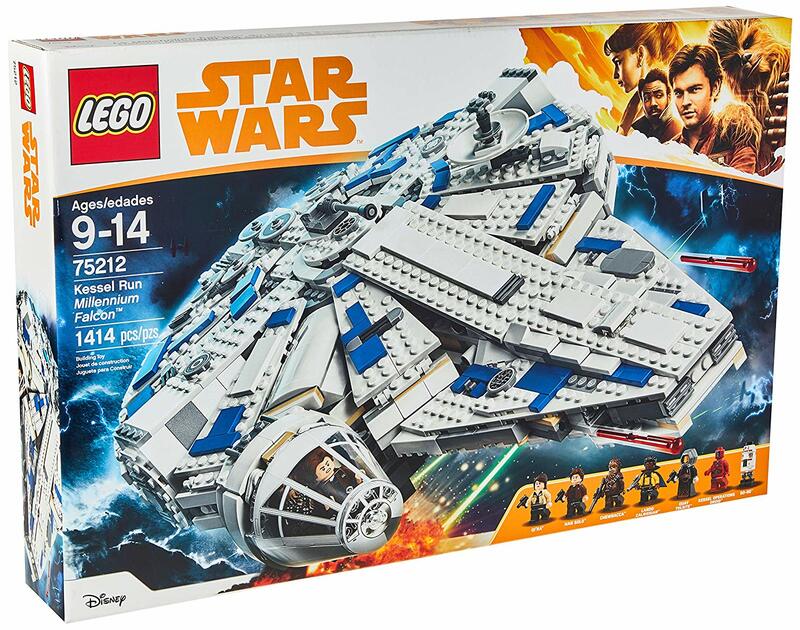 Win the LEGO Star Wars Millennium Falcon kit worth $170! Attention Star Wars fans! If you think the Millennium Falcon is the coolest ship in the galaxy, then check out this Star Wars LEGO giveaway. Worth $170, the LEGO Millennium Falcon giveaway is brought to you by Snapology, who's celebrating the arrival of its program by giving away this awesome Star Wars building kit! Give your kids the best adventure when they build the legendary Kessel Run Millennium Falcon from Solo: A Star Wars Movie! Kids will love recreating their favorite Star Wars scenes. This giveaway is open worldwide, ending April 26, 2019. 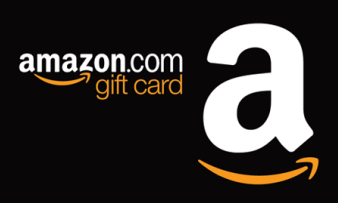 Win a $200 Amazon gift card from The Tylt! Want to treat yourself to something on Amazon? Check out this $200 Amazon giveaway, brought to you by The Tylt. The Tylt aims to bring some civility to online debates, publishing articles about controversial issues — from the role of super delegates in the Democratic primary to whether Lebron James is really leaving the Cleveland Cavaliers (which he did) — and then lets readers vote on the issue. This giveaway is open worldwide, ending April 19, 2019. 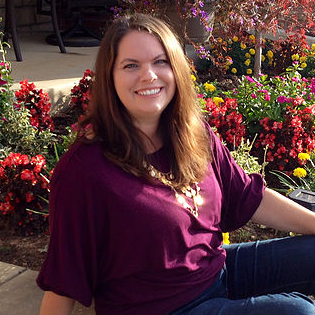 Welcome back to the blog, Charity Bradford! The best rule for writing is to follow your heart. In high school, Charity started writing stories but never managed to finish a full length novel. A year before graduating at Brigham Young University, she married her high school sweetheart and started a family. Having lived more life, suffered heart ache and a near death experience, Charity decided it was time to make that dream of becoming a published author a reality. She started writing and entered the blogging community to learn all she could about the craft and industry. Charity also has a romance pen name, River Ford. She's always loved the sweet Hallmark movies. One day she fell in love with the characters she created to live in Eureka Springs, AR. They were real with problems she could understand. The Hand of Atua is Charity's latest release, a space opera for young adults. A prince, the daughter of his teacher, multiple planets, refugees, and a god waiting for a boy to grow into a man with the faith to change the galaxy. Heartache and hope, fear and love, the living and the dead are all in Atua’s hands. Eighteen-year-old Amiran wants to forget he's the Hatana's son. Unfortunately, his father's fleet is marching across the galaxy. Planets have fallen and now they're heading for Manawa. There's nothing there the Hatana wants, no reason for him to spare the planet. The only reason to attack is to send Amiran a message—pick up your duty as heir or lose everything you love. Determined to save as many as possible, Amiran calls for a planet-wide exodus. When his favorite professor refuses to leave, Amiran puts the professor's daughter, Eleena, on the escape shuttle instead. Before he can convince her father to leave Manawa, Amiran is captured by the Hatana's scouts. Sentenced to serve in the mines and then the fleet he hates, Amiran fears he'll never find a way to stop his father's tyranny. Beaten regularly to the brink of death, Am takes solace in dreams about Eleena. As time passes, he draws strength from the knowledge she is alive and surviving in the refugee camps the best she can. As his feelings deepen, Amiran knows that to keep Eleena truly safe, he must put an end to the brutality of the fleet. Only then will he be able to reunite with the woman he's grown to love. So who wants to win something?! 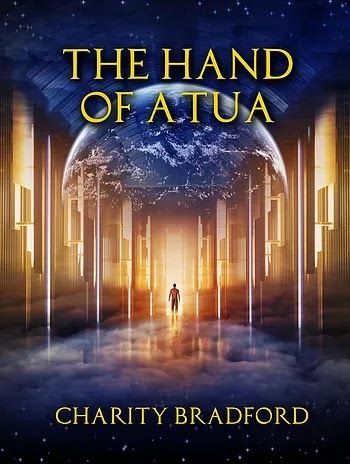 In celebration of the release of The Hand of Atua, Charity Bradford and I have partnered up to give away a $50 Amazon gift card to one lucky Giveaway Guy reader. Enter to win using the Rafflecopter form below. This giveaway is open to users worldwide. One winner will be randomly selected via Rafflecopter, which I will contact by email after entries are verified. The winner will have 24 hours to respond, otherwise a new winner will be selected. Win a pair of Sennheiser HD1 Bluetooth headphones! Attention music lovers! This headphones giveaway is one you won't want to miss. 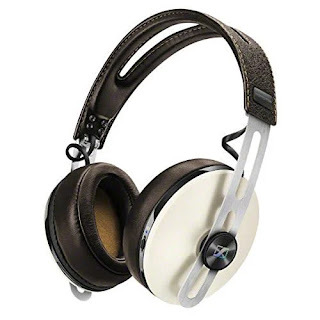 The Sennheiser HD1 Bluetooth headphones ($400 value) are a minimalist masterpiece, crafted from luxurious materials including ear cups made with genuine leather. And the sound? Sennheiser technology reduces ambient noise and distractions. I love this brand and feel they offer the best balance of sound you'll ever hear. This giveaway is open worldwide and ends April 8, 2019 at 11:59 PM. On this blog you'll find stuff I think is cool, informative reviews, and chances to win giveaways. Please contact me if you'd like to have your giveaway featured here! I'm Seth, owner of the Giveaway Guy blog. I live in the suburbs outside of Boston with my wife and have a career in SEO. I enjoy writing reviews and entering giveaways in my spare time.